“Before I go onstage every night, I pause and dedicate the performance to God.” That is an award winning Hugh Jackman, revealing that he is a man of faith in a wide-ranging interview with Parade. “I’m a Christian. I was brought up very religious. I used to go to different evangelists’ [revival] tents all the time. 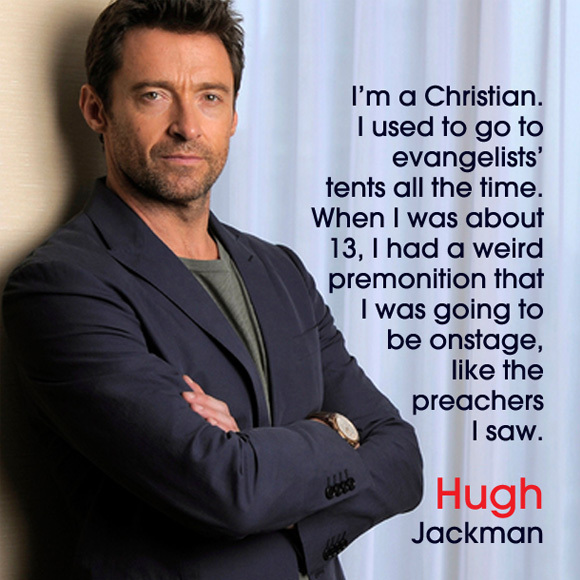 When I was about 13, I had a weird premonition that I was going to be onstage, like the preachers I saw.” Jackman explained. 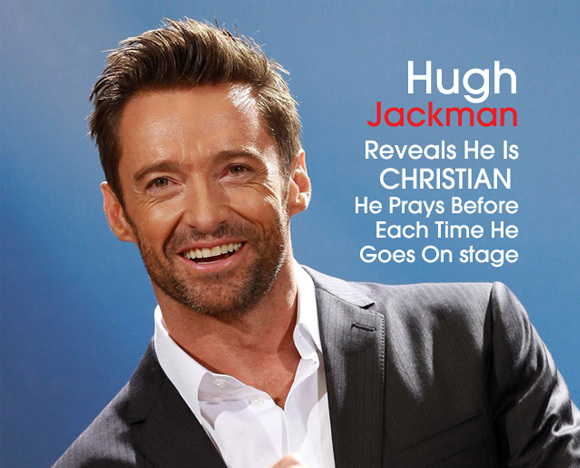 Jackman, 46, is also a happily married man. He has been married to Deborra-Lee Furness for over 19 years, since April 1996. They have 2 adopted children, Oscar and Ava.